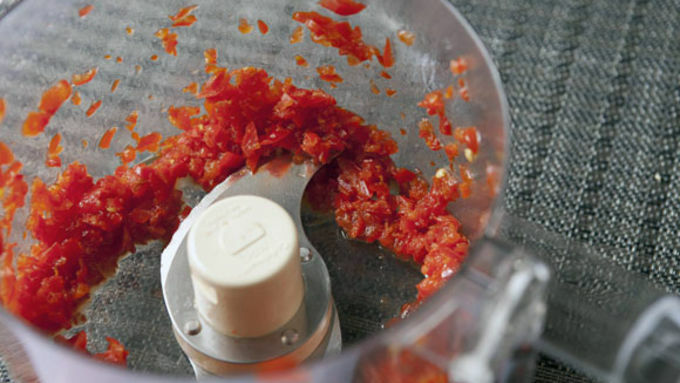 In a food processor, add peppadew peppers to a food processor and pulse a few times until they are in a fine dice. 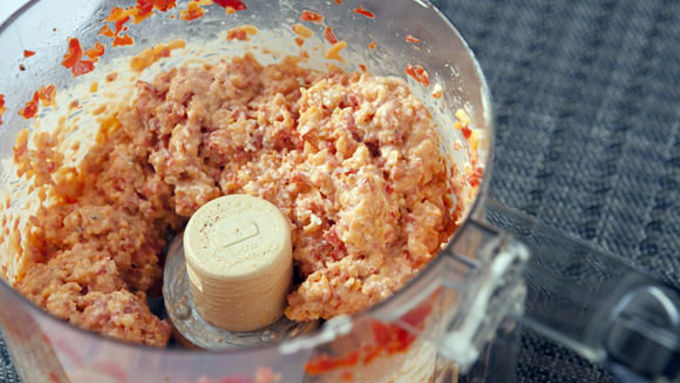 Add shredded cheddar, cream cheese, mayo, garlic powder, cayenne pepper, and a pinch of salt and pepper to the food processor. Pulse until the mixture is well combined. 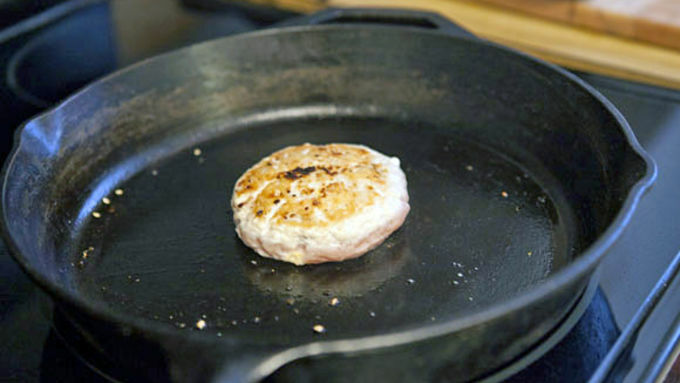 Measure out 1/3 pound of ground turkey and flatten it into a burger shape. 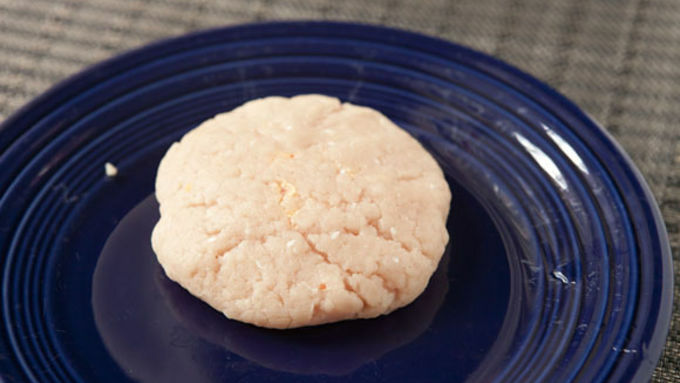 Place about 2 tablespoons of pimento cheese right in the center of the burger. Carefully shape the ground turkey around the filling. It's okay if some filling is leaking out but try to keep it enclosed as much as possible. Finish all the burgers before cooking them. You will have some leftover pimento cheese. It's great on crackers! When the burgers are finished, season them well with salt and pepper. 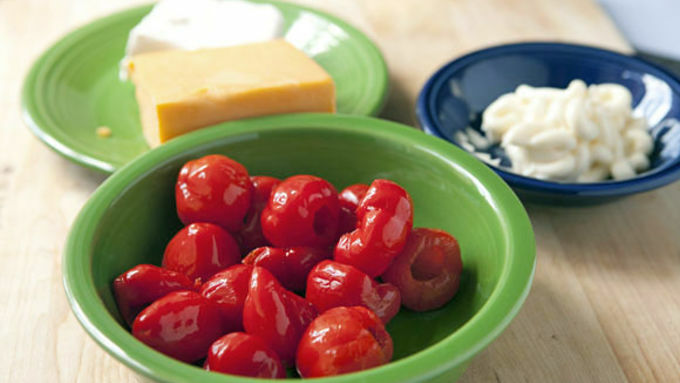 Heat a cast iron skillet (or grill) to medium-high heat. Once hot, add a drizzle of oil and the turkey burgers. Cook them for 4-5 minutes per side until the burgers are cooked through and seared nicely. I actually prefer to cook these in a skillet so the filling stays in the burger. Let the burgers cool for a minute or two so the filling isn't too hot. 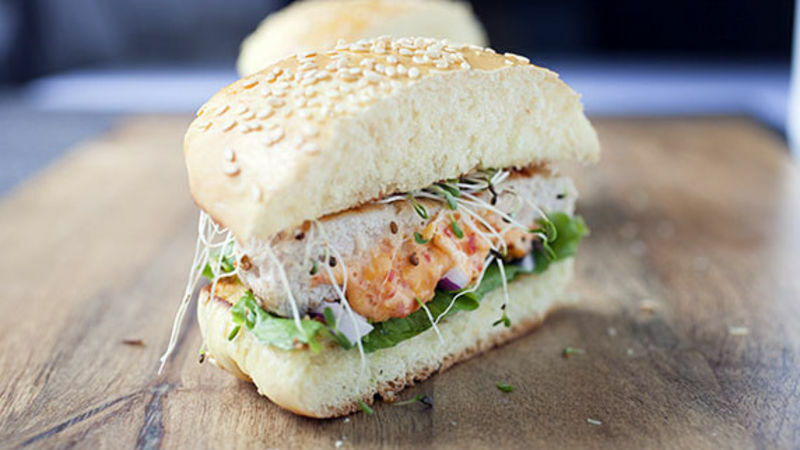 Then serve the burgers on a toasted bun with condiments, red onions, lettuce, and sprouts. I like a good burger as much as the next guy, but to be honest I usually shy away from the turkey burger. They’re so lean that they tend to get a bit dry when cooked through – and they can be a bit on the bland side. The solution to both of these problems is actually the same: Stuff them with something with lots of flavor that gives some moisture to the burger. My choice? 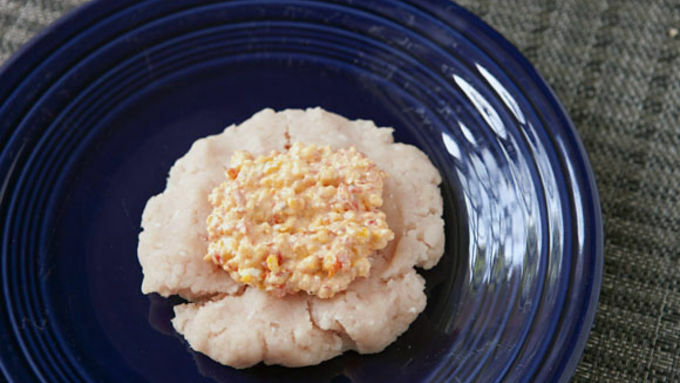 Pimento cheese! 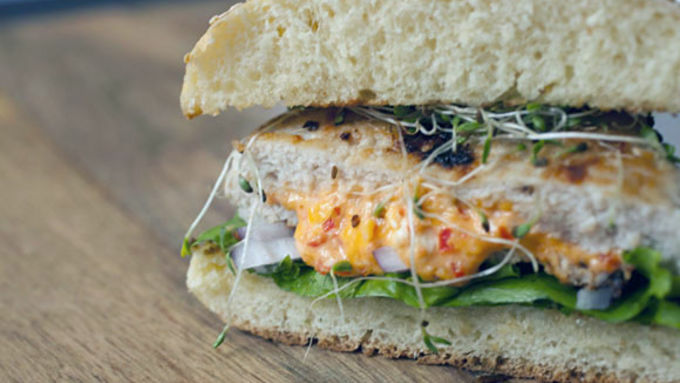 This Pimento Cheese Turkey Burger is going to rock your world!